If fish would be removed from peoples’ diet in Bangladesh, nothing else could replace that valuable nutrient-rich food. 70% of the Bangladeshi population is eating fish 7 to 14 times within two weeks. Studies prove the positive impact of small fish species on an improved dietary diversity. Moreover, the most important aspect of fish in terms of nutrition is that fish enhances the uptake of micronutrients from food eaten in the same meal. Not to forget, that consumers like the flavour and the added taste of fish to their meal. Young and Professional in ARD? 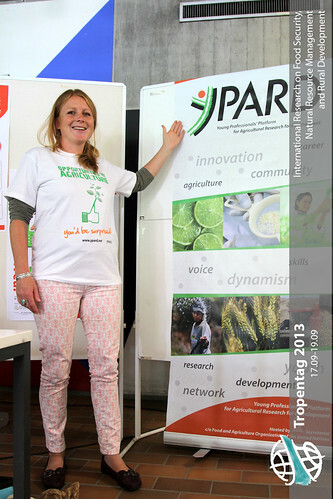 Get involved @YPARD in the exhibition hall! YPARD is an international movement by Young Professionals FOR Young Professionals, to express their ideas and realize their full potential towards a dynamic Agricultural Research for Development. Register for free! 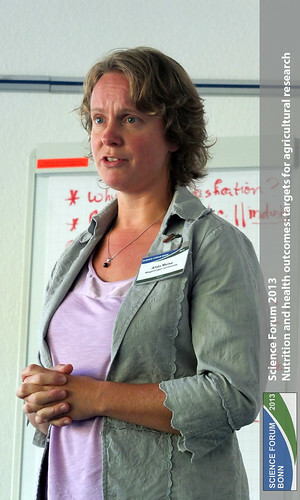 Key Actions of YPARD ⇒ Building a strong network ⇒ Giving voice to youth ⇒ Capacity building and information sharing ⇒ Promoting agriculture among young people How you can contribute ⇒ Share your experiences ⇒ Give your opinion ⇒ Raise youth issues in strategic debates and discussions For more Information, meet Martina Graf, YPARD Europe representative now and only until Thursday 11:00am in the exhibition hall at the Tropentag! 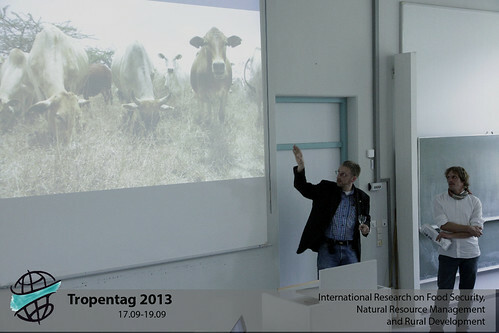 Since more than 15 years, ATSAF is kindly organizing annually the Tropentag in cooperation with various sponsors and universities. Among other activities, ATSAF supports young students with interest for journalism in science and is building up teams of competencies.